The latest Bundle of Holding features seven titles from Osprey’s Osprey Adventures line: just $16.95 gets you all seven PDF ebooks with a retail value of $104.00. A couple of them are mine, and I’m in some very good company, including Chris Pramas, Phil Masters, and series chief Joseph A. McCullough. Here’s a link: take a look and I think you’ll be impressed. 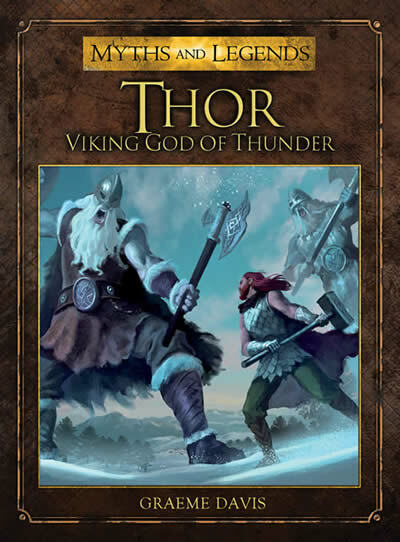 Thor: Viking God of Thunder retells the Norse myths and covers Thor’s history from 6th-century Germany through the Viking Age to Marvel’s Avengers. Here’s a link to some of the great reviews it’s received. 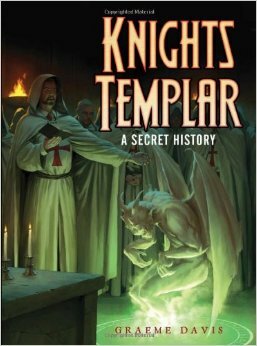 Knights Templar: A Secret History is a roundup of history, rumor, and conspiracy theory surrounding the Templars and the Holy Grail. 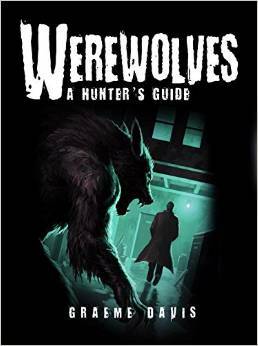 It even includes a brand new conspiracy theory that I made up, based on actual events and relationships, that could provide a great setting for all kinds of games. You can read more about it here: scroll down to the comments for links to reviews. The Osprey Adventures line includes a lot of well-researched titles that are ideal as systemless sourcebooks for games. Take a look: you won’t be disappointed. I’ve just received a hardback edition of my Osprey Myths and Legends book Thor: Viking God of Thunder, published by Rosen Publishing in New York for the American schools and libraries market. It is available by itself or as part of the Heroes and Legends set, which also includes the Osprey volumes Dragonslayers, Hercules, Jason and the Argonauts, King Arthur, and Robin Hood. The inside of the book is the same as the Osprey edition, but Rosen’s solid hardback binding makes it more durable, and it lies flat without breaking the binding and scattering pages everywhere. And Rosen’s cover design is great. It keeps Miguel Coimbra’s fantastic art of Thor battling the frost giants, but turns the god’s name into a stony logo wreathed in lightning. I’m very, very pleased with it, and it’s strangely appropriate that my comp copy should arrive on the International Day of Happiness – another thing I knew nothing about until this morning! 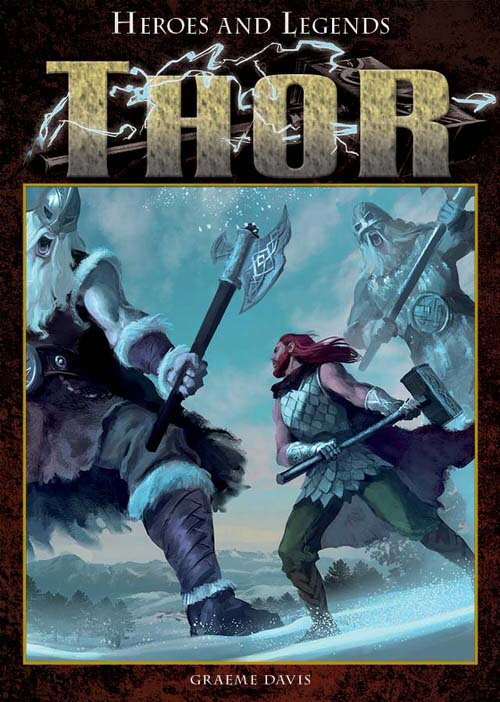 Patrick Mahon over at SF Crow’s Nest in the UK just posted a very nice review of my Osprey Myths and Legends book Thor: Viking God of Thunder. Here’s a link. 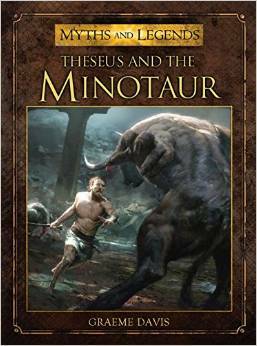 I’m very happy with the reception received by both this book and its companion volume on Theseus and the Minotaur, and I hope to have the opportunity to write more books on myth and folklore in the future. They’ve been passions of mine since I was a boy. Here’s a link to some more reviews of Thor. Every time I see a new review, I add a link to the comments. If you’ve seen any reviews that aren’t linked there, please let me know – I’d like to make this collection as complete as possible. The fine folks at Osprey Publishing have announced 30% off all their books, including my Osprey Myths and Legends titles on Thor and Theseus and my Dark Osprey contribution to Templar conspiracy theory. The sale also includes Osprey Wargames. I recommend checking out Of Gods and Mortals, the mythological tabletop skirmish game.